A strikingly beautiful and charming bird that lives on the forest floor in vine thicket habitat and dazzles with it's iridescent blue epaulettes. Our 'logo' bird. 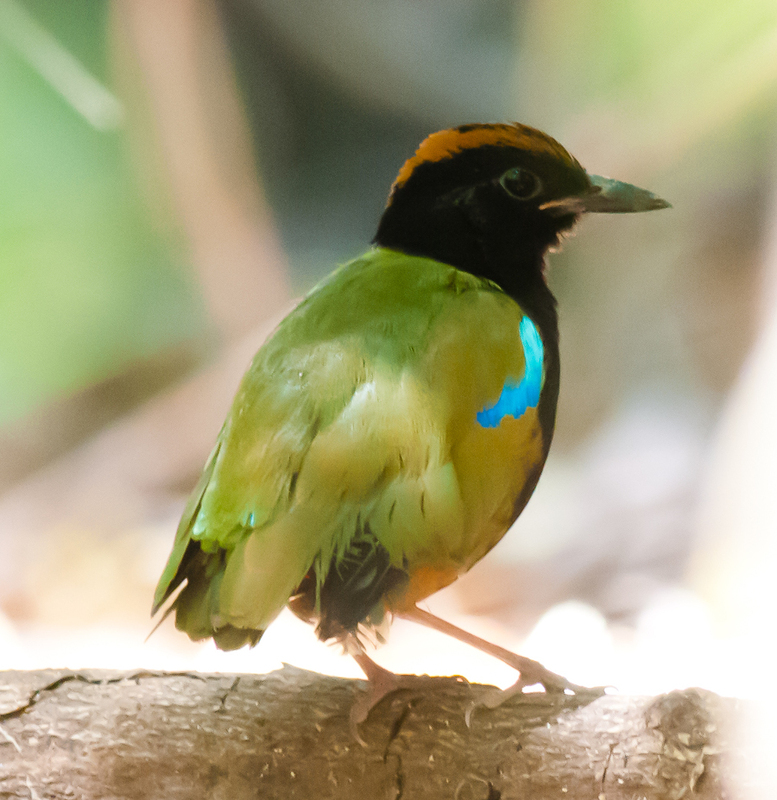 If you want to see this bird you really need to visit Darwin. Pittas have a reputation for being shy and skulking but our bird can be surprisingly approachable. 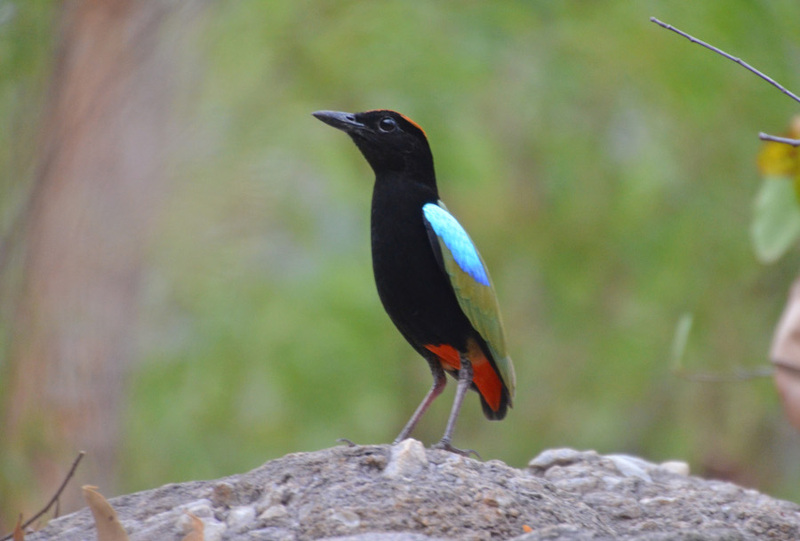 Rainbow Pittas can be found in suitable habitat from the Kimberley in NW Australia to East Arnhemland. Worms, snails and insects and their larvae, occasionally frogs and small skinks, mostly earthworms. Monogamous, can raise two broods in a season. Late October to early March. Nest is loose, interwoven sticks and dead vines, usually dome-shaped but can be cup, with entrance at side or near top. Can be in fork, on branch, against butress root on the ground, from ground level to 8 metres above. Eggs 4, incubation period 14 days. Both sexes share in nest building and feeding and caring for youngsters. Mostly vine thicket monsoon forest, can be in eucalypt forest, bamboo thicket, paperbark forest and edge of mangroves. Coastal and subcoastal areas where there is plenty of moisture and protected from fire. East Point, Howard Springs and Fogg Dam are reliable places to see Rainbow Pitta. In Kakadu they can be seen at Gungarre, Manngarre, Burrunggui and Maguk. Click here to hear its call.